In medium- and high voltage networks, the free programmable regulator REG-DP is used for the automatic control of Petersen-coils (P-coils), which are continuously adjustable on load. Furthermore, the controller can solve a lot of control-, measuring- and recording tasks all around the Petersen coil. As a standard feature, the regulator offers different methods for the automatic control of a Petersen-coil. 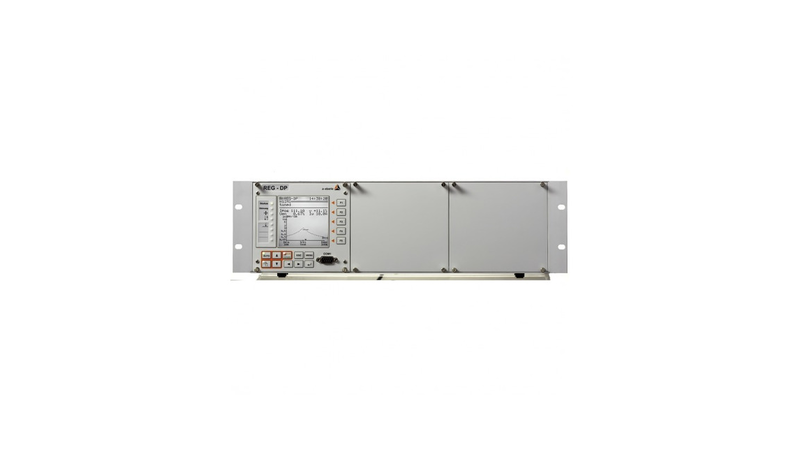 Depending on the requirements, the REG-DP can control either to a percentage or absolute detuning-current or a given zero-sequence-voltage. Furthermore, there are different methods available for the control of several Petersen coils in the same network. Included as an independent functional unit there is a resistor-control for the "increase of the wattmetric current", which can be freely parameterized and which contains even a thermal model. New requirements to the control, like hardly measurable Uo or noisy Uo respectively, can be covered with the optional current injection unit.